In a 17-month period between June 2014 and November 2015, four Jewish sons were savagely killed – taken from their families by Palestinian murderers. Four years ago, the world waited with bated breath to learn the fate of three Israeli boys—Gilad Shaar, 16; Naftali Fraenkel, 16; and Eyal Yifrach, 19 — after they went missing just outside the Gush Etzion community of Kfar Etzion. After a three-week search, news broke that their bodies had been found. Their abduction and murder set off a chain reaction that led to “Operation Protective Edge,” the Israeli incursion into Gaza in the summer of 2014. 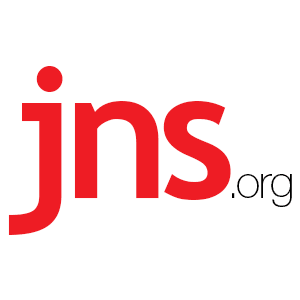 A little over one year later, on Nov. 17, 2015, Ezra Schwartz, an American student from the Boston area, was volunteering in Israel as part of a gap-year program when the 18-year-old was shot and killed by terrorists on the side of the road in Gush Etzion, near the same location where the three Israeli boys were kidnapped. These events shook residents of Israel and the international Jewish community to their core. No one should fear that their child’s trip to the bus stop will be their last or that taking public transportation on a major highway could subject them to terrorist sniper fire. 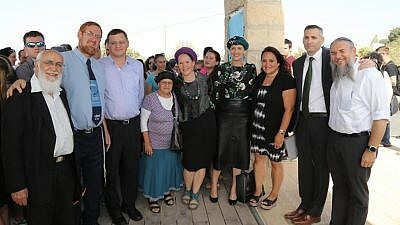 On July 24, standing side by side with the families of the four boys, Jewish National Fund-USA (JNF), the Gush Etzion Regional Council and Gush Etzion Foundation joined together along the road where the events took place to unveil a memorial site commemorating Gilad, Naftali, Eyal and Ezra. The sites are called the “Boys’ Promenade” and the “Ezra Schwartz Lookout,” and connect a 1.4 km (approximately 1 mile) promenade to the bus stop that was the site of the kidnapping, as well as Kibbutz Kfar Etzion and Kibbutz Rosh Tzurim, creating a safer junction between these neighboring communities. Along the promenade, mosaics and stories of the boys will entwine their legacy to the future of the community. Racheli Fraenkel and Ruth Schwartz, mothers of Naftali and Ezra, could not agree more. 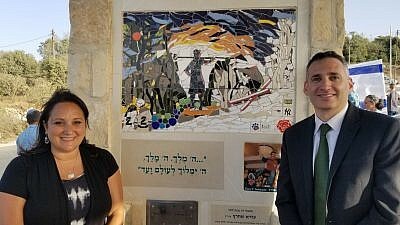 For Ruth Schwartz, Gush Etzion has become a family – one that will continue to honor Ezra for generations. The promenade runs parallel to Derech Ha’avot (the “Path of the Patriarchs”), an unpaved road that winds through Gush Etzion’s communities. The symbolism of a promenade dedicated to four modern Jewish sons running alongside one of Israel’s ancient paths – once forged by its most revered biblical forefathers—deepened the emotion of the day and placed the boys’ memory into the context of Jewish legacy, continuity and unity. Rachel Kontorovich is the author of this piece.